F.A. 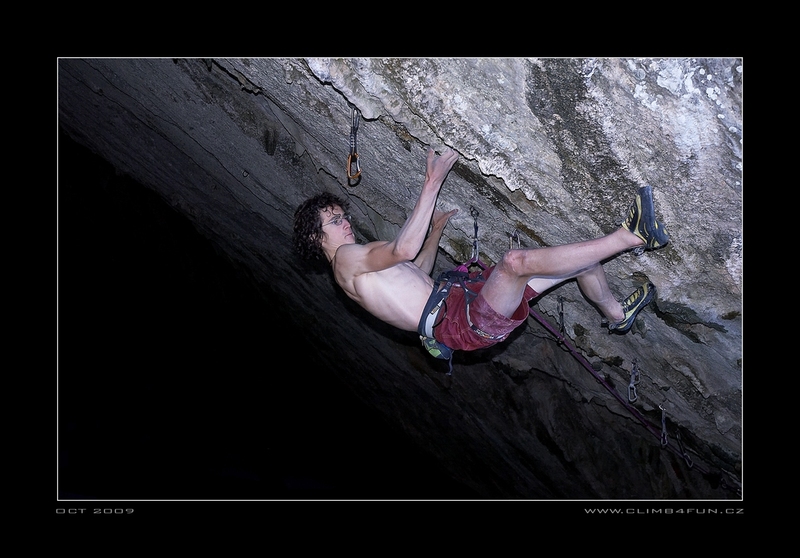 Adam Ondra, 20 october 2009. 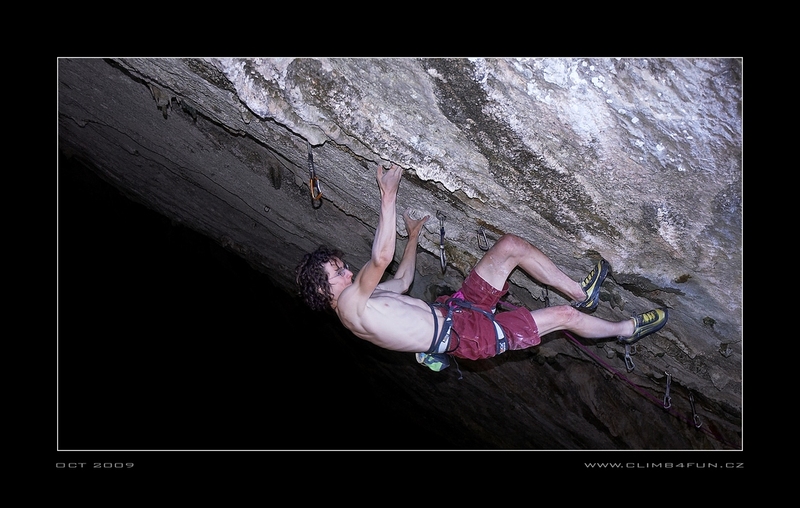 Referred article written by Adam Ondra. situated in sector "Bronx" near Domusnovas vilage about 40kms from Cagliari. Adam tried this project last year already. 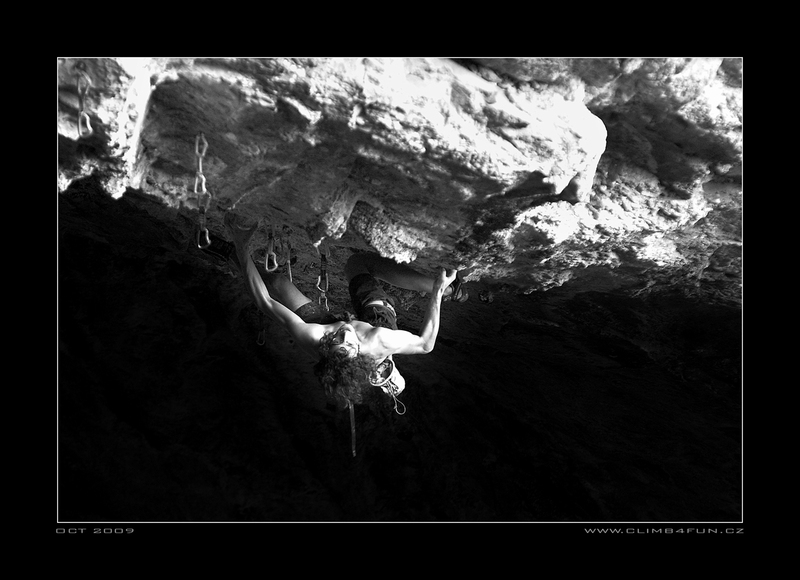 After Marina (8c/+), without any rests, comes a boulder problem of 7C+ Fr in nearly vertical roof to an edge of the cave. Several hard moves with heelhooks and one good resthold and comes another boulder problem on the edge of the cave - going from horizontal roof to a vertical wall. The difference between last bolt and the chain is approximately 6 metres ! Adam Ondra sent this route on Tuesday evening after 4 days of working on it. During his tries there were broken two tufas in the roof, where he could rest a bit so he had to change the sequence as well and was obliged to use wet tufa and match on it too! That made probably the "slash" in the grade of the route. 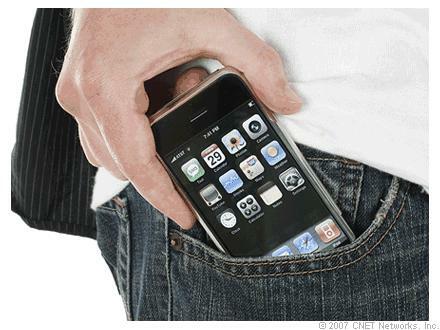 Adam was thinking about the grade for couple of days to say the final verdict - 9a+/b." The route was bolted by sardinian Matteo Marini.